Ms. Balian has been practicing family law exclusively throughout her legal career, and joined Harris • Ginsberg LLP in 1996. 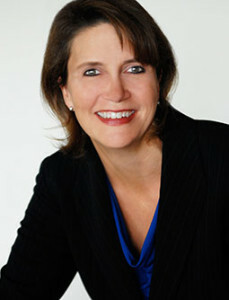 She is a Certified Specialist, Family Law, State Bar of California Board of Legal Specialization. Ms. Balian has lectured for various non-family law professional groups about family law procedures and issues. Ms. Balian wrote a chapter for “Strategies for Family Law in California” 2011 Edition (Chapter 13 “Changes and Trends in Family Law 2010”) and also co-authored the entitled “California” chapter for the book “Family Law, Jurisdictional Comparisons” 2011 Edition with other attorneys at Harris • Ginsberg LLP. Ms. Balian has been selected as one of the Best Lawyers in America since 2013. She has also been selected as a Southern California Super Lawyer for 2014 and 2015 and was selected as a Southern California Rising Star for 2004-2008 by Los Angeles Magazine, Super Lawyers edition, through peer nomination, and independent research and review process. Ms. Balian has received a Client Distinction Award from Martindale-Hubbell®. Ms. Balian has been named by Los Angeles Magazine as one of the Top Women Attorneys in Southern California. Ms. Balian is a former member of the Los Angeles County Bar Association, Family Law Executive Committee, which considers and makes recommendations on California legislation and proposed legislation pertaining to family law; encourages ethical conduct in the practice of family law; develops and improves family law standards of practice; encourages and promotes pro bono opportunities; and provides a forum through which family law practitioners may cooperate with, encourage and assist each other in the resolution of problems and practice issues. Ms. Balian is a member of the Association of Certified Family Law Specialists. Ms. Balian serves as a Mediator for the Los Angeles Superior Court in family law.